According to the Australian Dental Journal some 4 Million patients every year may skip or avoid dentist visits due to dental anxiety. Dental anxiety is among the most common fears across the globe, and luckily, Bondi Dental and our outstanding dentistry team are here to help you learn to enjoy visiting us! Our staff is dedicated to providing dental care in an environment free from discomfort and fear. 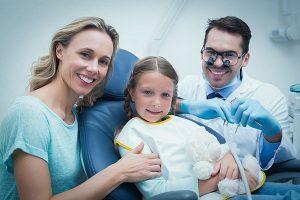 We offer the latest in dental technology and techniques so patients experience the most comfortable, effective treatments, and we work to ensure patient comfort from the moment they enter our dental practice. Our friendly team knows that not every patient is able to overcome dental anxiety even with our helpful staff and relaxing environment. That’s why we offer oral conscious sedation to help patients with the most severe dental anxiety relax, and receive the dental treatment they need. But sedation is not all we offer, we also have other anaesthaesias, treatments, and psychological approaches that can turn your trip to the dentist into something to look forward to! While the above factors may contribute to the onset of dental anxiety, some mental health experts believe the primary reason for distress is the lack of control people experience during dental procedures. Bondi Dental has many suggestions as to how to beat dental anxiety – many of which are case-dependent. But we also have three general approaches which can help you battle dental anxiety. 1) Figure Out the Source – Why do you fear the dentist? Was it an unfortunate experience when you were a child? Have you felt too much pain at the dentist’s? Do you feel panicked when you are in the dental chair because you expect a guilt trip? Wherever your fear comes from, find it. 2) Talk to Someone – Once you have identified the source of your anxiety, talk to someone you trust about it, like one of our Bondi Dental staff. Make sure it’s someone who doesn’t suffer from dental anxiety themselves. That would be like planning a trip up Mr. Everest with someone who suffers from a fear of heights! 3) Get to the Bondi Dental Office – The final step in the process is to come visit us– even if it is just to talk about your dental fear. Our dental team has seen every kind of person come into our office. We can help you, too. We will explain the procedures, talk about how they have changed since the last time you were in the dental chair, offer a longer appointment, and reassure you about how we can improve your smile, no matter its condition. If these options don’t work, the dentist may apply sedation, which is also provided in invasive treatments. Sedation may range from pills to general anaesthesia and are used to help the patient feel relaxed and comfortable. The point is, we have a lot of ways to help you; you just need to take the first step and come visit us! Bondi Dental is here and ready to help you overcome your dental anxiety. With modern décor, piped music, fresh flowers and a specially designed ‘coffee corner’, Bondi Dental provides patients with advanced dentistry in a comfortable and relaxed environment. At Bondi Dental we only use the latest technology and are equipped with state-of-the-art equipment to provide you and your family with high quality dental services. Bondi Dental is located in the Sydney area, at Bondi Beach. We offer high quality dental services for all patients, and we offer them without anxiety!Bondi Dental offers free parking at the rear of the building.